A stream-of-consciousness presentation of my photography, regardless of genre — or in many cases, artistic merit. Indiana May 2012 A triptych of a sudden downpour encountered whilst traveling across Indiana, taken through the wet car window. 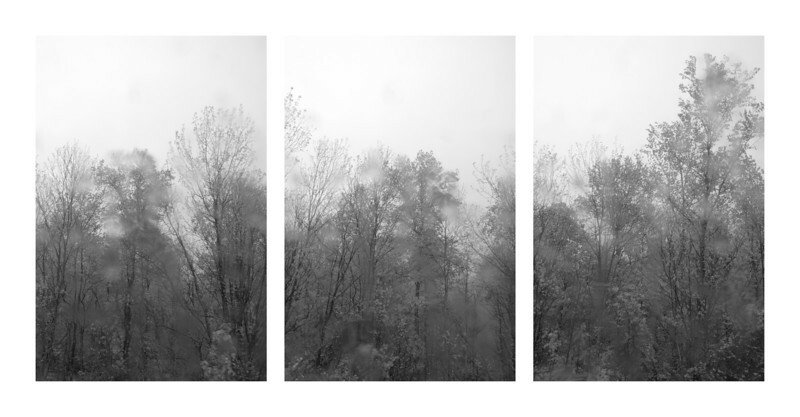 Not particularly special, but I enjoyed the combination of the lack of contrast in the almost monochromatic green foliage and the hazy effect of the rain on the window.